ISSN=2323-8801. December 2014, Appendix figure 4. 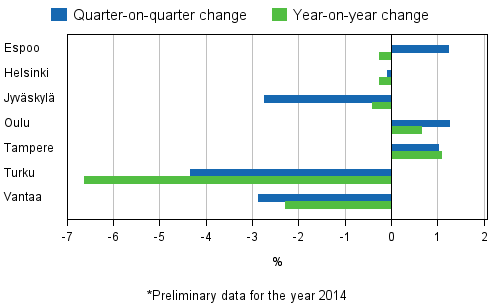 Changes in prices of dwellings in major cities, 4th quarter 2014 . Helsinki: Statistics Finland [referred: 22.4.2019].